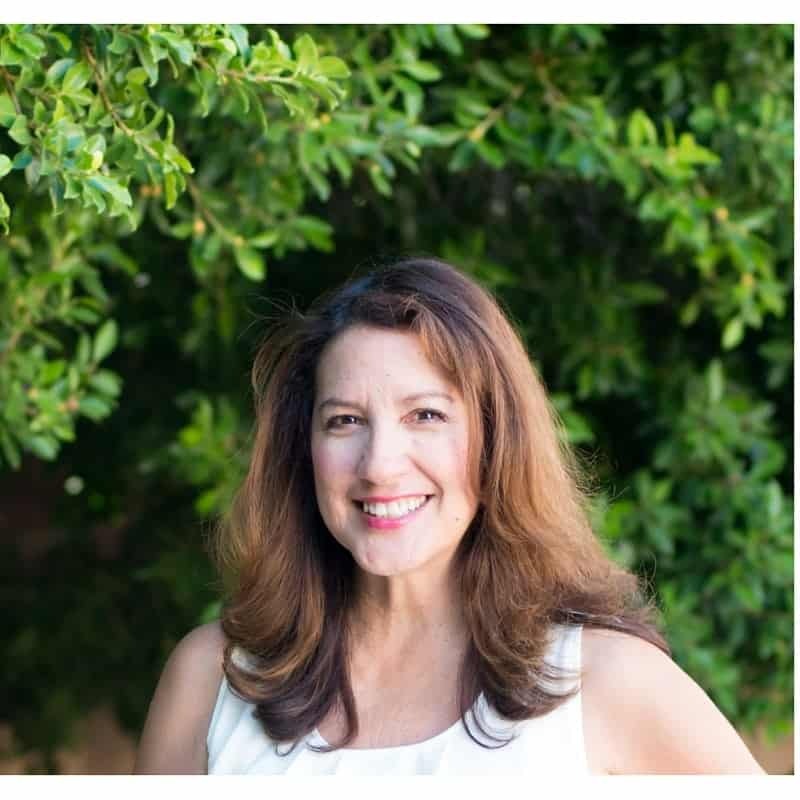 This post contains affiliate links that support the running of this blog at no extra cost to you, full disclosure policy here. 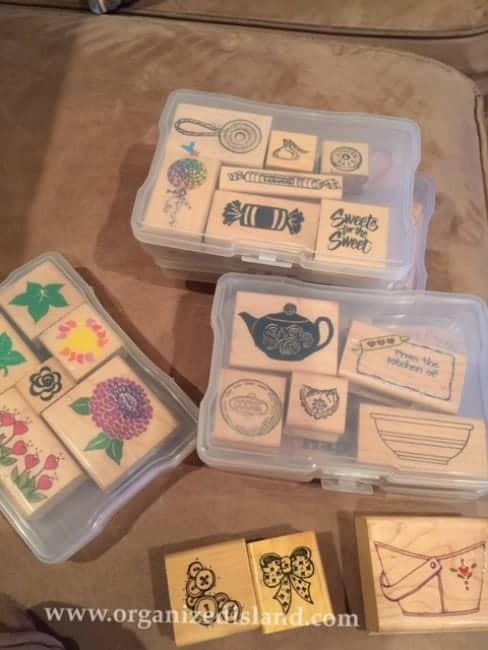 As I searched for holiday decorations in my garage the other day, I pulled out a box with some all but forgotten craft supplies, my precious rubber stamps. 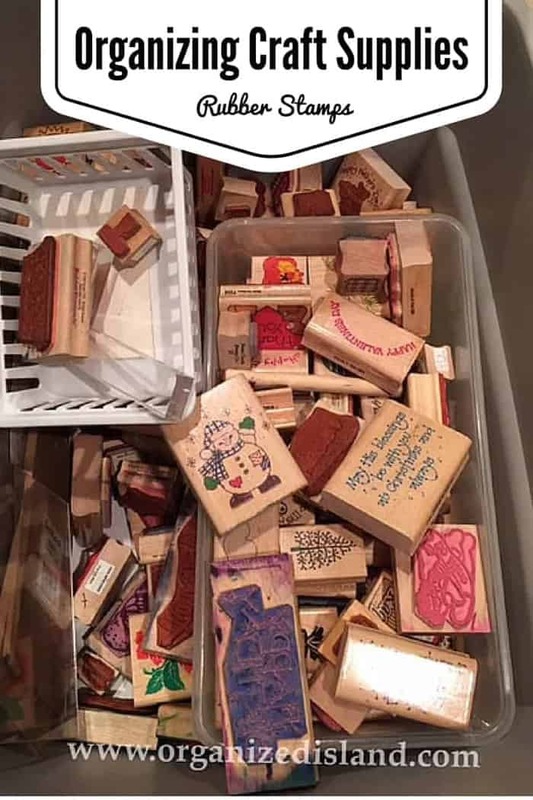 I have a rubber stamp collection that grew over the years. When the kids were younger, I used to craft with them often. At some point over the years, these little blocks of wood were sent to the abyss that is our garage. Once I opened the box, while I was immediately happy to see these again! Although I had not used them in a while, I knew I wanted to make organizing my rubber stamps collection a priority. There they were, all piled on top of each other, different sizes, types and themes just mingled together. Not a very efficient way to find them for use. I was a big collector of rubber stamps and scrapbooking supplies back when the kids were young. 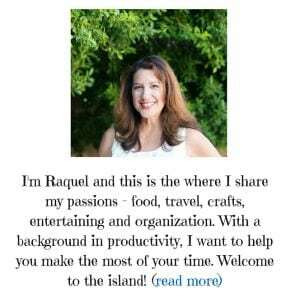 I loved getting together with friends and family to create cards, stationery, scrapbook pages and gift wrap. 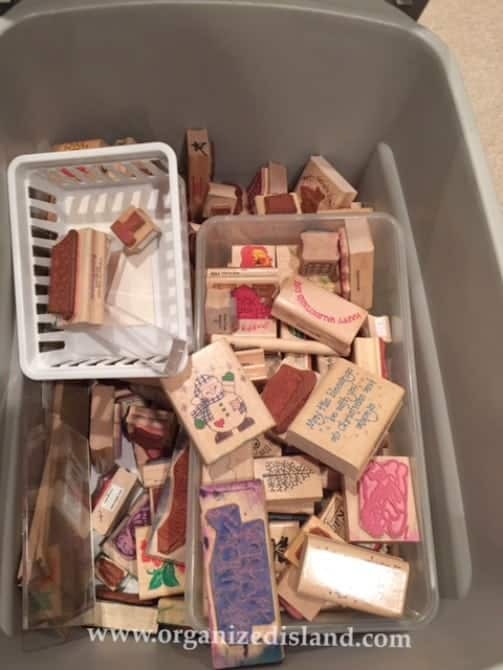 I also became a rubber stamp distributer and instructor back when we lived in Arizona. I loved showing people how to make cards and gifts using the stamps and their creativity. Now I use them for cards and bullet journaling. it was time to bring these back to life. These stamps brought me so much joy, and I want to start using them again. But I needed some help. But before I do that, I want to organize my rubber stamps in a way that keeps them stored by stamp type. 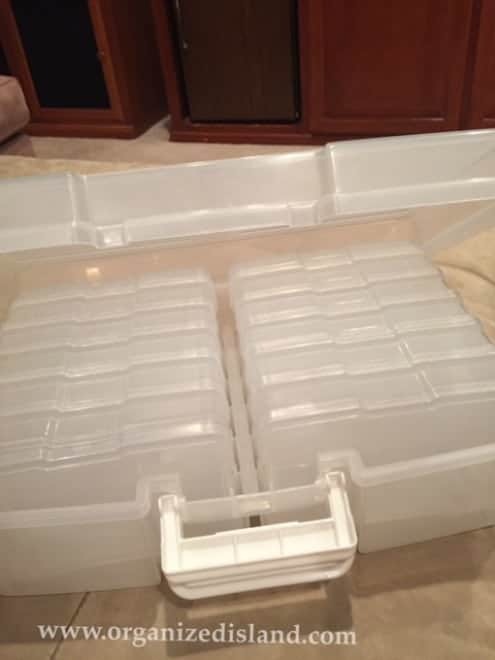 Then I remembered I had one of those plastic photo storage boxes that I never used. Who else remembers these? This was going to be perfect and best of all, save me the time that was spent searching for items. With any organizing project, the first thing I did was check each stamp to see if it was in good condition. Then, I began by sorting my stamps by category: outdoors, candy, Halloween, etc. and putting them in each box. Then with the help of this guy, I got busy bringing some order to this mess. 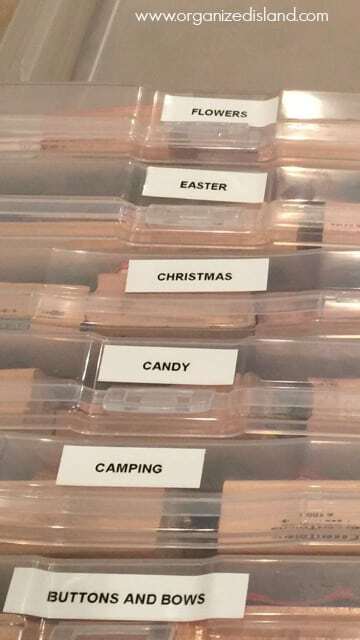 Once each category was accounted for in one of the boxes, I used my hand-held DYMO LabelManager 160, to label them for future use and accessibility. 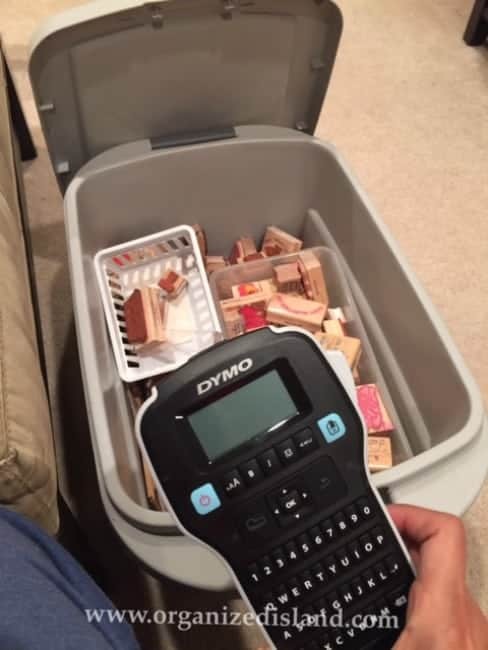 You may remember that I recently received this helpful label maker from DYMO . This was actually a fun process. When I was done, this is how my stamps were stored. Now I can just pull a set or two or more for my crafting sessions. All very easily accessed and labeled. I can just pull out the set that I need. The box fits nicely in a hall closet taking up very little room. Since I do not have the luxury of a craft room, this is perfect! 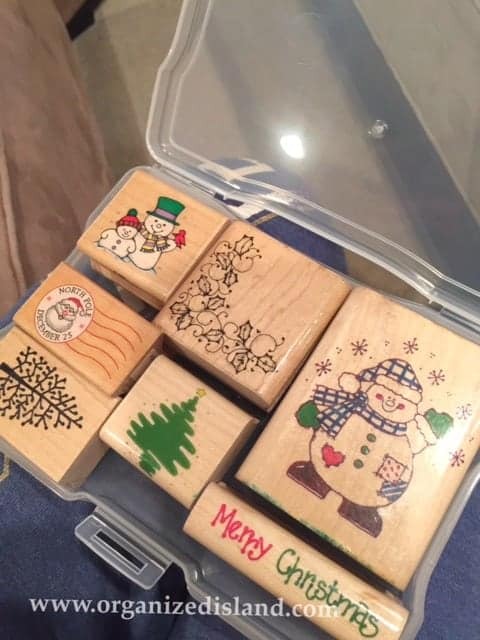 With the stamps nicely organized, crafting will be a breeze! Do you have any rubber stamps? Cheap Organizing Solutions – Organization storage does not have to be expensive. Check out these frugal organizing solutions. Love how you filed the small boxes in a big box! Thanks Ashley, the photo storage box worked great! I feel like Scarlet would be so in heaven here. What a collection! And awesome that you have shared the organization. I am happy to hear that Scarlet likes stamping too! 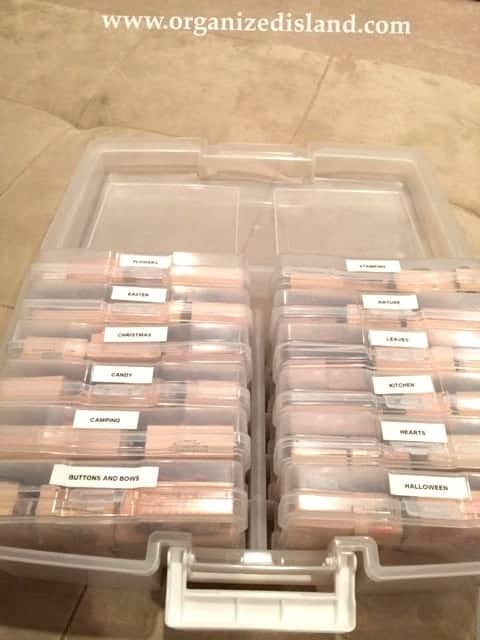 I am so excited to start using these again now that they are organized! They all look so pretty and so beautifully organised now! I do love stamps, you have me craving more. What a great way to organize stamps. I like the clear containers and labels to make it easy to find what you’re looking for.